Kim Hollis: In terms of box office and quality, where does Mission: Impossible rank amongst the franchises of the late 90s-2000s? Jason Barney: I don't think it ranks up there with the mega successful franchises like Harry Potter, Transformers, or Hunger Games, but there is no denying the success. It is not like they have been cranking them out like crazy, either. 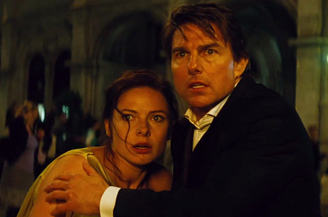 The Mission: Impossible movies stand alone pretty well and we will see how far Paramount can take this. Ryan Kyle: To repeat a line from my analysis on the opening weekend: "How many franchises can you name that five films deep still draw grosses in line with peak opening of the sequel without the assistance of a reboot, lead recasting, or a decade-long dormancy?" Mission: Impossible gets forgotten about given that the grosses are not close to record-breaking, but in terms of consistency and return on the dollar, it's about as safe as it gets when greenlighting a $150 million production.